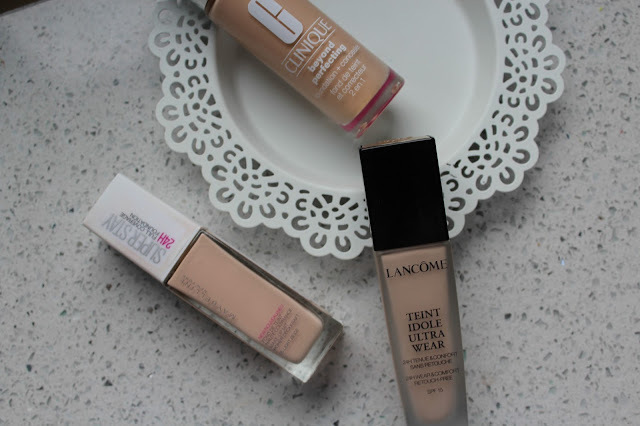 Im not a fan of full coverage as I always find it so heavy on my skin but the Lancome one has always been on my to try list! I had a sample of the Beyond perfecting foundation and it came out a little dewy on me, I do have combination skin though. I'm hearing so many good reviews on the Maybelline one. The lancome is my ultimate for my oily skin, it is incredible! So much love for the Lancome Teint idole. My current favourite is the YSL All Hours foundation.